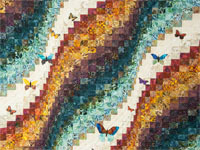 Another new original C Jean Horst design. The reality of life being pictured as a journey seemed to come together when a friend's husband passed away at an early age with cancer. 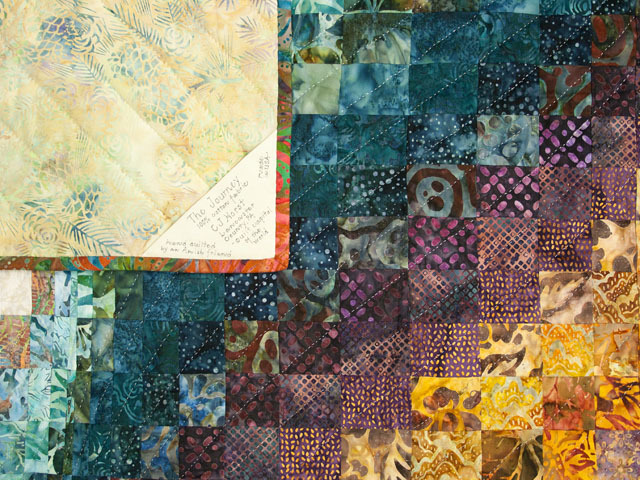 The watercolor wall quilt - the Journey, was designed at that time. 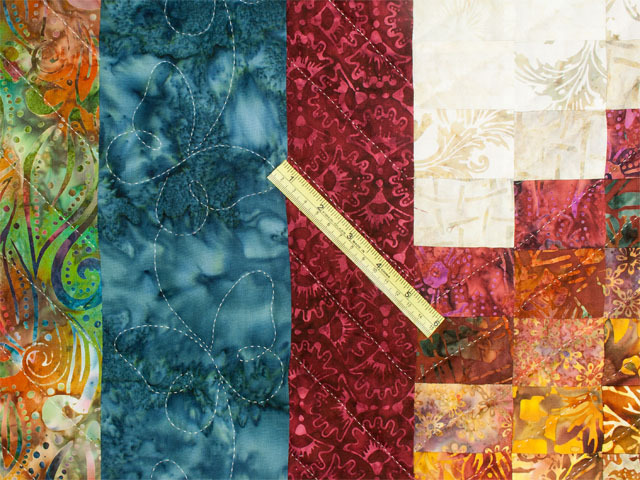 And now we have the full size quilts!! 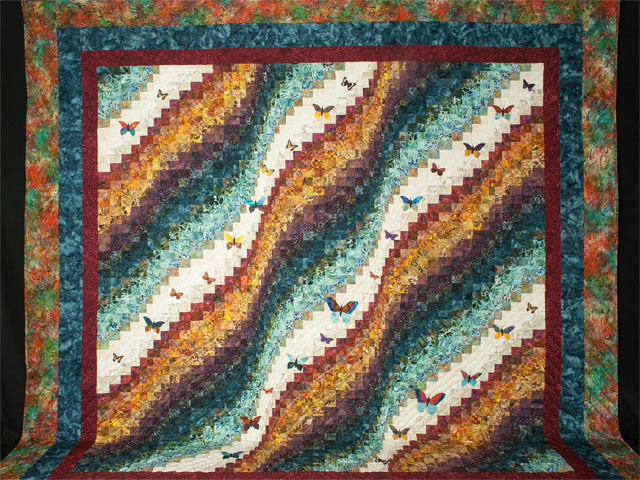 Available in queen and king size in this pattern done on a background of my favored Bargello Wave pattern design. 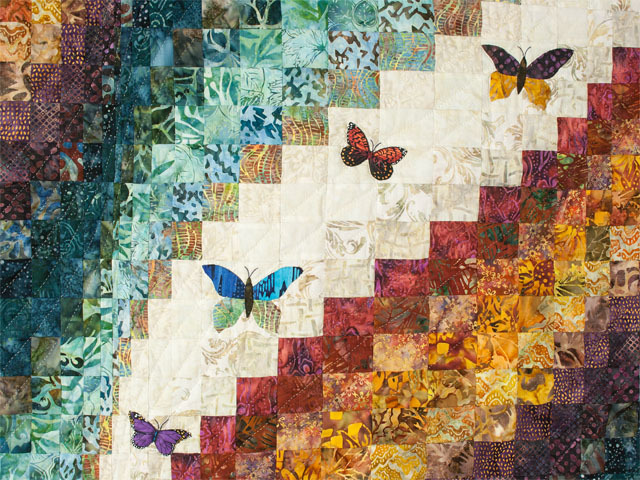 This is a beauty of 24 100% quality cotton batiks used for the background pattern and then more added bright batiks in hand appliqué for the butterflies on the quilt top. 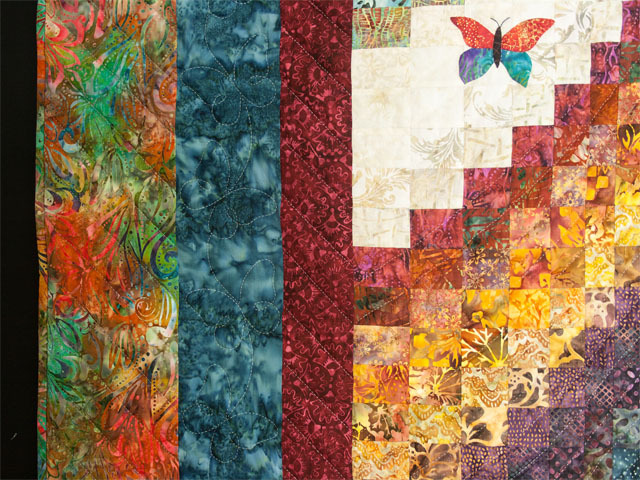 It is a spectacular coming together of precise piecing, hand applique, and hand quilting. The hand quilting has 8 exceptional stitches per inch and notice the theme of butterflies quilted into the quilting design on the teal middle border too. 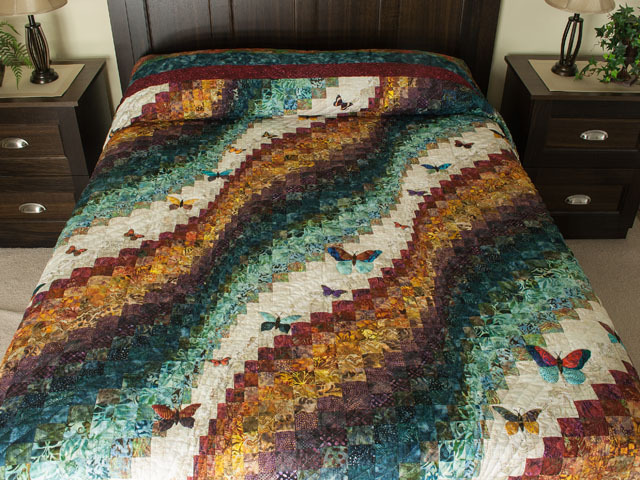 This is certainly an heirloom piece - not your usual quilt. 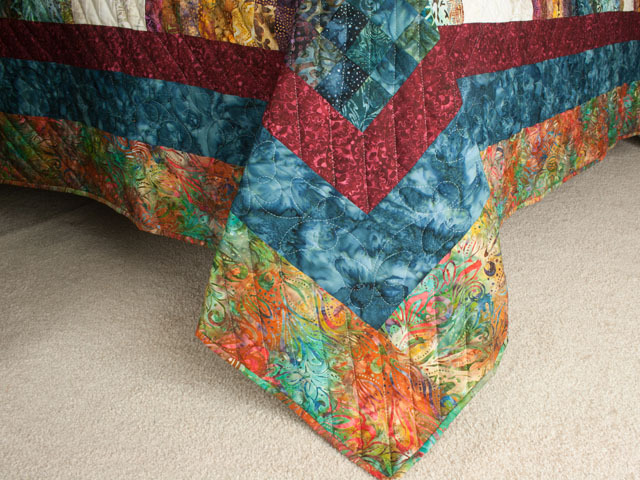 The backing of this quilt is covered with a golden batik fabric of 100% cotton to accent the front side. The documentation label is on the back corner and signed in quilter's pigma pen to save the history. Made in USA A high quality quilt.